One of the biggest challenges faced by a growing technology company is the need for more computing power. Many find themselves stuck as their demand grows: thanks to budget constraints or a lack of space, they are unable to build the new data center they need in order to keep expanding. The solution many companies are turning to? Implementation of data center skids. By pre-assembling data systems and subsystems in a factory before installing them on-site, a company can get the computing speed, space and power they need with an efficient and cost-saving option. The ease of installing data center buildouts for a larger, faster system can give companies the edge they need to get ahead of the competition. Since our founding in 1982, Fibrebond has been a leader in engineering and manufacturing intelligent solutions for the telecommunication and power generation industries. Our innovations in designing equipment shelters have led to greater protection and storage capabilities for IT infrastructure assets like server racks, cooling systems and power supplies. 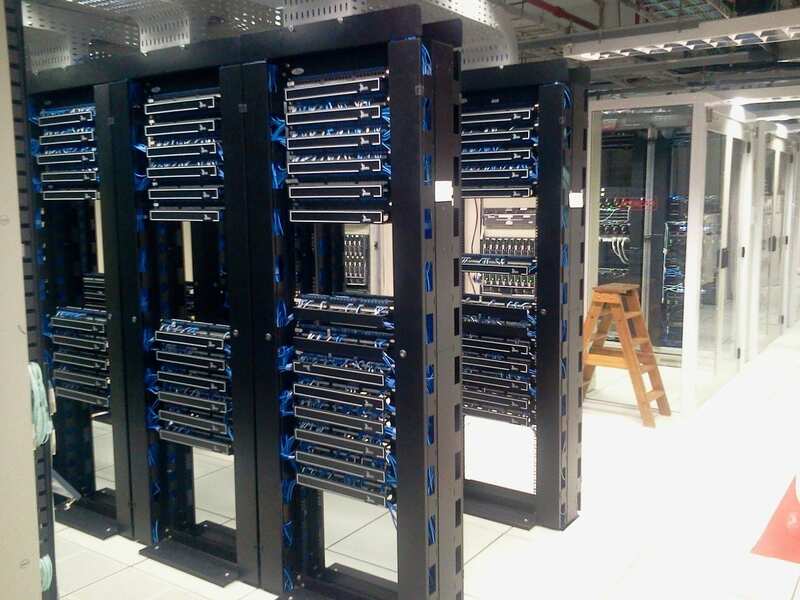 Recently we applied our dedicated and skilled engineers to the development of data center buildouts, and are proud of the system skids we have manufactured as a result of their work. Old school data systems have become cumbersome. They are expensive, difficult to upgrade, and require lots of time and energy to expand in order to keep up with growing demand. Technology companies are in need of a plug-and-play solution. In a constantly changing business landscape, the need for ease of installation and constant adaptability are critical. The data center skids manufactured by Fibrebond are integrated into a platform designed for simple installation and arrive on-site ready to power up. Because we build the entire skid mount structure in our factory, we are able to tailor them precisely to the scale you need. Because the server can be installed at scale and upgrades brought in when needed, companies save on the large upfront investment they would make building a traditional data center. Designs and building materials can be customized to meet a client’s specifications. Whatever your needs, our goal is to adapt to meet them. In a changing and evolving industry, it is important to know your data center can evolve without the hassle of building a costly and bulky new facility. Fibrebond’s plug-and-play solution not only simplifies the manufacturing and installation process, but allows you to grow your data center at the same rate as your customer base. To find out more about our data center skids or to talk with a member of our team, visit Fibrebond.com!